Barnabas was born in Gary, Indiana, on January 31, 1914 into a family of Serbian emigrants. When Barnabas was a nine, his parents returned to their homeland. In 1940, Barnabas took monastic vows in Mileševa Monastery, and was ordained deacon. 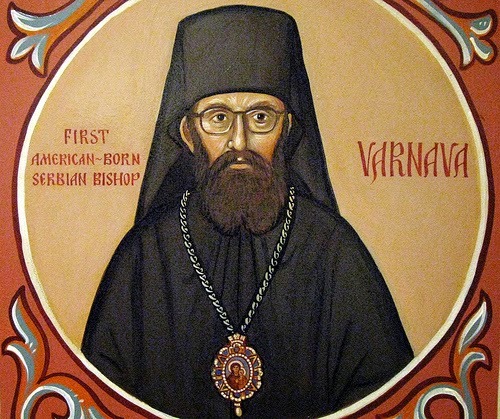 Deacon Barnabas remained in Sarajevo during World War II, but after taking a stand against fascists, he had to leave Sarajevo in order to save his life. After the war he was ordained a priest. The Holy Assembly of the Serbian Orthodox Church elected Fr. Barnabas auxiliary bishop to the Serbian Patriarch with the title of Bishop of Hvosno. He was consecrated on May 20, 1947. In his new position Bishop Barnabas began openly criticizing the new communist regime for mistreating the church. He was soon arrested and sentenced to twenty years in prison. He was accused of being an American spy. Bishop Barnabas was subjected to torture, lack of food, and was kept in the most isolated wing of the prison. But Bishop Barnabas remained calm. Every day he sang the hymns of the Church. The communist Government arranged a train accident in order to get rid of him. His leg was shattered. Although the communist secret police did not allow doctors to provide him medical assistance, he recovered, though he suffered from his injuries until his death. He was released after the accident to house arrest in the Gomionica Monastery until his release in 1960. Throughout his life, Saint Barnabas remained in touch with his home parish of St. Sava in Indiana. He was the first person baptized in that parish after it’s founding. At one point, his parish raised the money to buy him a Peugeot for his high-priestly ministries. Bishop Barnabas died on November 12, 1964, in circumstances that led some to believe that he was poisoned. In 2005, he was canonized and his name was added to the list of other saints of the Serbian people and of Orthodox Christian faith. Watch bits from the Festal Liturgy for St. Barnabas of Indiana. St. Barnabas Feast from orthodoxindy.org on Vimeo.